Container Vegetable Gardening Tips: How to Grow Your Own Food in Boxes! Container Vegetable Gardening has become a hugely popular way for everyone to grow their own vegetables for the kitchen. It's not simply vegetable gardening for dummies, but rather an avenue to have your own home vegetable gardening experience. Click any image or link to read more. From the avid gardener and apartment dweller, to the "not-so-sure-I-can-garden" type, a patio, balcony, or a plain-old back porch, is all you need. With a little basic-vegetable-gardening and patience, the right container and location, water and fertilizer, you'll soon have a vegetable container garden that you can be proud of. There are several different types of vegetables that are good ideas for container vegetable gardening. We provide a list later on this page. That list can be a great vegetable-gardening-guide for containers and a super way to start the process. Here's a few things to watch out for and consider before and during your Container Vegetable Garden stint. Which Vegetables Can Grow in Containers? As stated before, here is a small list of vegetables that have proven successful in planter gardening. You can TRY pretty much anything, and if you have large enough containers, then you will be fine with bigger plants. All the names below will eventually link to articles on how to grow each crop. Feel free to submit your own tips here. Carrots: "Short & Sweet", "Tiny Sweet"
Cabbage: "Red Ace", "Red Head Hybrid"
Radish: " Easter Egg", "Cherry Belle"
Use caution in selecting the size of container. 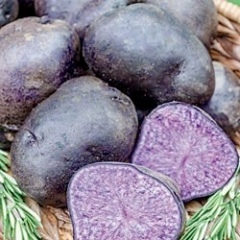 Potatoes, for example, would need a large container in order for the required growth to be achieved. If in doubt, always use a larger container than you think you need. Your vegetables will not only thank you for it, they'll show their appreciation in hugely improved output of food for you! 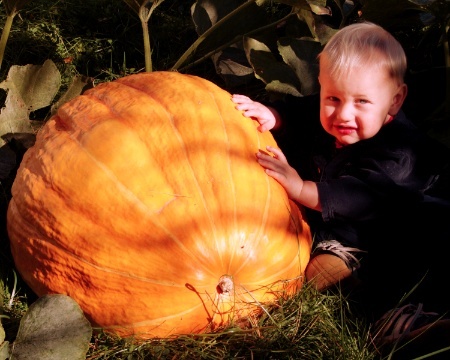 Our family is pretty much organic and heirloom when it comes to choosing seeds. Heirloom garden seeds (opens in a new window on our site) don't cost a lot more, are great for the planet, and preserve ancient species. Whatever your thoughts about the organic movement, the heirloom seed industry deserves our support. Click here to choose seeds (page opens in a new window on our site). Some vegetables chosen for container vegetable gardening will vary greatly in their size. Therefore the size of pot will vary greatly as well. For smaller vegetables, try to find a container around 8" in diameter and 10"-12" deep. For medium size vegetables, try to find a container around 18" in diameter and 16" deep. For large vegetables, such as corn, you're going to have to find something much larger... approx. 24"-28" in diameter and 20"-24" deep. That's a big container, but the root systems on larger plants will need a massive amount of room. If you're the innovative type, you can always make your own container using 5-gallon buckets or old wash tubs. Always remember though, it must have drainage holes! If it doesn't have holes, use a drill to make your own. Use a 1/2 inch bit and drill 5-6 holes around the bottom. If the water doesn't have a place to drain out, root-rot will occur! You want the soil of the container to feel damp, not soggy. Over-watering could lead to root-rot! All containers, but especially terracotta pots, dry out very quickly. Since the root systems have only a small amount of soil from which to draw water, the supply can run out in just a day. In extremely hot days, I've had the container dry out in just a few hours. Watch your pots very closely and don't allow them to dry out. 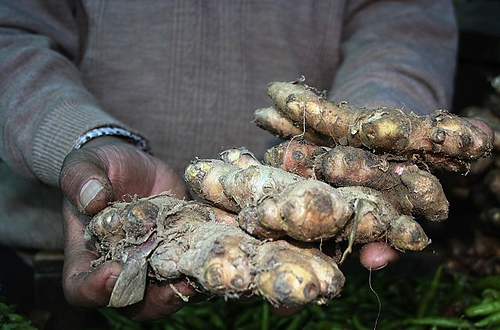 Vegetables have a hard time bouncing back from dried-out soil. My trick in judging the need for water, is the old thumb trick. If you stick your thumb all the way into the soil and can't feel damp dirt, it's time to water. If the soil is damp, leave alone, the water level is fine. Not much to say here. Most vegetables in pots do well with a commercial grade blend of soil. 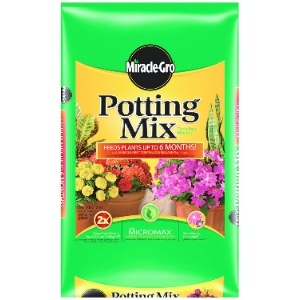 However, my favorite for container vegetable gardening has always been Miracle Grow Potting Mix. It contains Miracle Grow Shake N Feed Slow Release Plant Food. The Slow Release Plant Food will feed the vegetables for up to three months. If you use this product, don't fertilize until the three months has passed. The Slow Release Plant Food will be sufficient nourishment for the plants during this period. Have a great tip to share? Click here to tell us your best idea. Other container gardeners will thank you for your generosity. If you prefer a different route than Miracle Grow Potting Mix for container vegetable gardening, then check the bags directions concerning fertilizing and when to do so. If you prefer an organic fertilizer, that's a great choice as well. 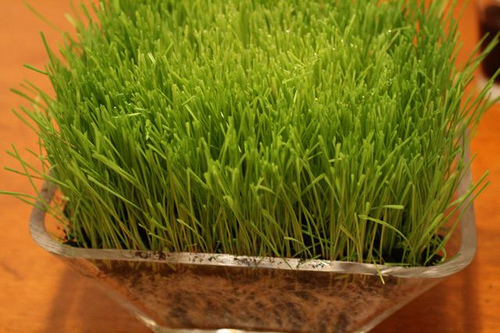 An organic fertilizer will release the nutrients over a slow period. That's a good thing. Organic fertilizers are very much favored by gardeners and farmers, for the simple reason that they don't contain pesticides and other chemicals that may be too strong and harmful for the plants, or the humans hoping to eat the crops. Although organic fertilizers available in the market today may basically contain the same materials, a new breakthrough has been introduced by one of the most trusted name in plant care - Jobe's Organic Vegetable Fertilizer. Having good planting soil is the most basic prerequisite in gardening. It is very important to keep your soil healthy for the plants' benefit. Given the best climate and weather condition, unbalanced soil cannot support even the healthiest of plants. There are three microorganisms required to create healthy, living soil: bacteria, fungi and Archaea. Both bacteria and fungi had long been commercially developed for many different purposes. Other organic fertilizers contain both bacteria and fungi but still lack the fast-acting microorganism, Archaea. Archaea occurs naturally and is essential, but has never been commercially grown: until now. Manufacturers of this product are determined to create healthy, ideal soil to help plants grow to their maximum capacity. This vision has led them to challenge something simple yet many probably had never even dreamt of. BioZome, as people from Jobe's call it, makes a remarkable difference when compared to other leading organic fertilizers; and it is only available in Jobe's Organic fertilizers. The Biozome is a very aggressive microorganism that helps break down beneficial complex materials and minerals into basic nutrients that plants can readily absorb, thus you will be able to achieve greater results faster. Jobe's organic fertilizers focus more on the roots and soil as opposed to liquid fertilizers. It allows nutrients to flow out over time rather than flooding the plants with nutrients in one single application. In granules, the minerals and nutrients are slowly but fully absorbed by the roots, and are properly distributed to the rest of the plant. As the soil surrounding your plant would also be consuming the nutrients, it will in turn create a better and healthier environment for your crops. Fast results: This organic fertilizer contains BioZome that will help your vegetable plants grow greener leaves, and yield bigger and brighter plant blooms to attract more bees. 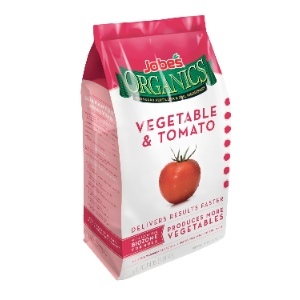 Jobe's Organic Vegetable Fertilizer is the front-runner in today's organic fertilizer products. With the addition of commercially developed Archaea, the mix has completed the basic components of creating the perfect container gardening soil. With continued use, you will not only harvest high quality tomato yields, but also develop better and far richer soil. This product is highly recommended for professional and leisure container vegetable gardening. If you prefer a chemical fertilizer, then you'll have to fertilize more often. This is due to the fact that chemical fertilizers release the nutrients all at once. There are however, slow release chemical fertilizers on the market. They're more expensive, though. Lastly is the water soluble fertilizer. 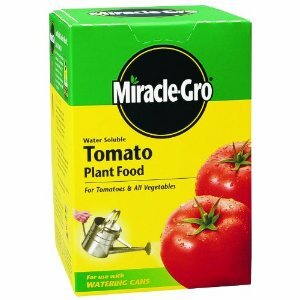 Once again, I recommend Miracle Grow Water Soluble All Purpose Plant Food. Buy it in bulk. 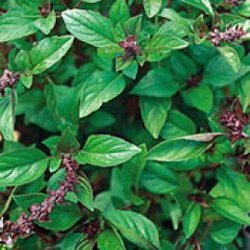 If you keep this stuff around, you can use it on vegetables, fruit and ornamental flowers. There are a multitude of other water soluble fertilizers on the market that will do great as well. Just take note of how often the dosage is supposed to be applied. The aspect of most vegetables in containers will be about the same. Around six hours of direct sun will do them best. Most will do better if that amount is closer to eight hours. Please know however, certain vegetables need some shade during the day. Before positioning that planter, make sure you know the sun and shade requirements! You want to find the "Miniature" or "Dwarf" version of the vegetables you're shopping for. Always look for any revealing words in the captions of the vegetable information tags. You can look for words such as: Dwarf, Compact, Midget, etc. A neat thing to do with Container Vegetable Gardening is to blend it in with other pots containing Ornamentals. Makes for a showier display of the sometimes not-so-attractive vegetables. Have a great tip to share? Click here to let others benefit from your container vegetable gardening wisdom! Follow these links to learn everything you'll need to know to begin growing your own delicious, organic vegetables in containers, right on your patio, balcony, or window sill! As always, GOOD LUCK and don't be afraid to "step out of the box" and experiment a little! Avoid back-breaking maintenance and harvesting by growing your vegetables in raised beds. It will save a lot of bending over! Is an Indoor Vegetable Garden Possible? Is growing vegetables indoors a practical solution? It may work, depending on how much space you have, and the vegetable types you select. Please share your tips for how to grow vegetables in containers using the form below. Have A Great Tip On How To Grow Vegetables in Containers? Know a secret veggie-growing tip? Discovered a great, hardy seed? Found an organic way to remove pests, or a method to improve the size of your harvest? Share your story, tip or review about Container Vegetable Growing! Enter the Title of Your Review, Story or Tip. For example, "My Carrot Secret"
Click on the links below to see some great reviews, stories and tips about Growing Veg. They were all written by other visitors to this page. Get Great Container Gardening Ideas today!